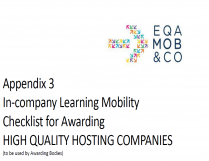 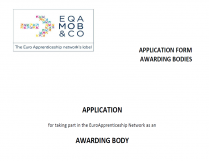 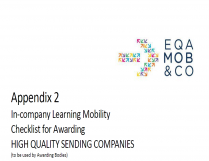 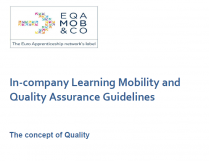 EQAMOB&CO focuses on the design, implementation and dissemination of a coherent framework of action for high quality “in-company Learning mobility”. 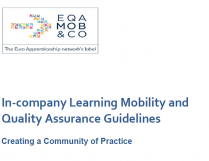 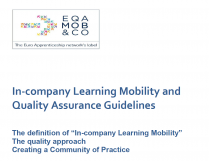 In the following you will find definition of "In-company Learning Mobility", a description of quality assurance and the EQAMOB&CO the Community of Practice. 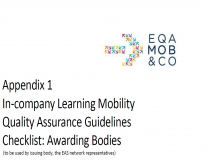 In addition checklists are available for preparing and evaluating learning mobility with the companies involved. 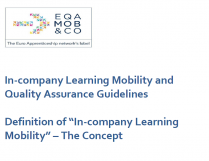 Definition of "In-company Learning mobility"